Get a workout, condition your body and have tons of fun learning how to rock climb in the heart of the city at the Equilibrium Climbing Station. 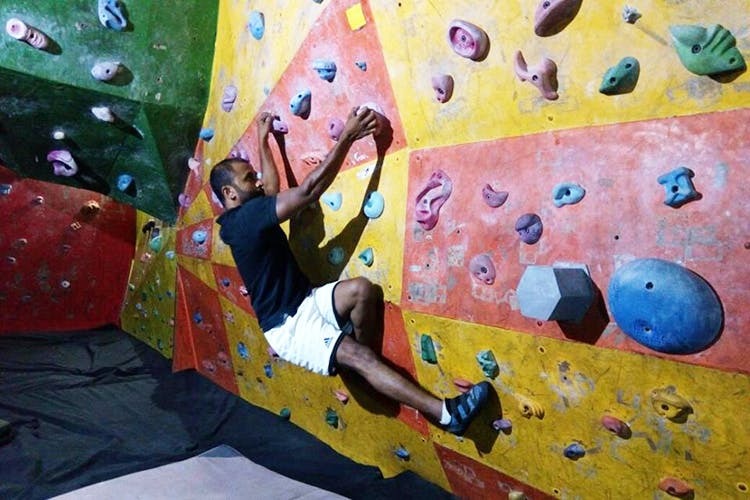 Co-Chairman of IMF National Sport Climbing Committee, Keerthi Pais, is who we have to thank for founding one of the biggest indoor climbing facilities in the country in Bangalore. They have three different services you can try out – ClimbFit for a fitness regimen that revolves around climbing, ProClimb for professional athletes and climbers who want to take their climbing up a notch and Rock Trips for anyone who wants to tackle rock climbing in the great outdoors. Their space is a large indoor studio with climbing walls that have plastic holds, no ropes or safety belts, sorry! If you’re in this, you’re in it for the real deal. Not to worry too much though, the floor is padded, so even if you do fall, you’ll only break a sweat. It’s the perfect training arena for outdoor rock climbing, so go on, be a rockstar!